Joliet DUI Lawyer | Johnson & Johnson, Ltd.
Driving under the influence, also known as “DUI”, is a serious charge, and one that could have a negative impact on your life for years to come. When you have been charged with DUI it is imperative that you get legal help from a skilled Joliet DUI lawyer. A knowledgeable Joliet DUI lawyer knows how to handle these types of cases, which can turn out to be rather complex. The legal team at Johnson & Johnson, Ltd. has the experience in traffic law matters necessary to properly defend DUI cases and get the outcome you want. In Illinois, as in other states, the legal drinking limit is 0.08% blood alcohol concentration (BAC). When a driver is found to be over this limit, they are driving under the influence. This is also sometimes called driving while intoxicated. As your Joliet DUI lawyer will inform you, however, DUI may be charged when the driver is under the influence of narcotics as well as alcohol. You may be stopped for a number of reasons, including minor traffic offenses as well as suspicion of DUI. It is important to discuss the reason for the traffic stop with your Joliet DUI lawyer because, if the traffic stop was improper, certain evidence against you may be excluded at trial. Remember that a DUI charge is not yet a conviction. No matter the type of DUI charged, you can get the legal help you need from a reputable Joliet DUI lawyer. If you are stopped for a traffic offense and the police officer thinks that you may be intoxicated, you will be asked to complete some initial field tests. These field sobriety tests are designed to help police officers determine whether you may be impaired. A Joliet DUI lawyer will make sure that these tests where conducted properly in your case. Field sobriety tests are commonly done at the side of the road and may consist of performing various acts. For example, you may be asked to take a number of steps in a straight line, stand on one leg, or recite the alphabet. Additionally, the officer may look at your eyes for signs of impairment. If necessary, you will then be asked to take a DUI breath, urine, or blood test. During your consultation with your Joliet DUI lawyer, inform your Joliet DUI lawyer about any field sobriety tests that you took during the DUI traffic stop. Drivers in Illinois have already consented to taking a DUI test simply by getting their driver’s licenses. The implied consent law states that you have consented to comply if asked to take a test by a police officer or official. Failure to comply is against the law and you will be charged with another, separate offense. Your refusal to take the test will also be used in court against you in the DUI case. Your Joliet DUI lawyer will handle your defense if any charges are filed. If you have had a previous DUI conviction the penalties are increased. The result could be expensive and may have a harmful effect for a long time. In addition to the legal punishment, you may also find it difficult to get car insurance. 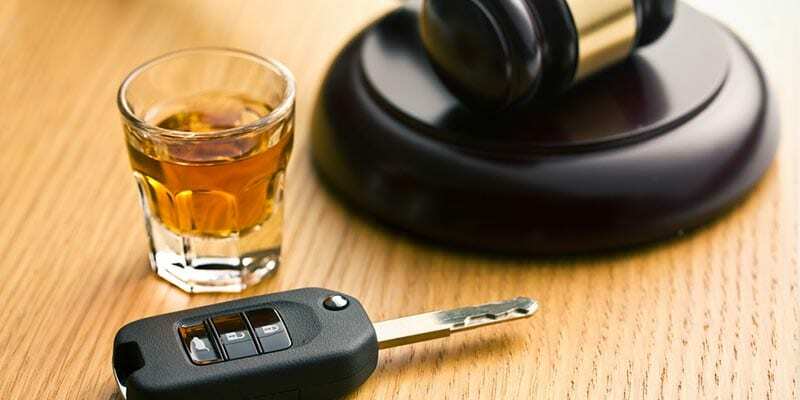 The best option is to avoid a guilty verdict with help from a qualified Joliet DUI lawyer. If you are arrested for DUI, you will be booked and brought to an initial hearing, also known as a first appearance. The judge will tell you the exact charges against you and will set a hearing date. Bail will be set and you will be asked to provide a plea. You will want to consult with your Joliet DUI lawyer before entering a plea. Additionally, your Joliet DUI lawyer will help to get lowered bail. Fighting a charge of DUI may be complicated. It often requires the skills that only a very experienced Joliet DUI lawyer has. Your Joliet DUI lawyer will work with you to determine the best defense to present in court and will work hard to get either an innocent verdict or a lesser penalty. A skilled Joliet DUI lawyer is essential in getting the results you need in a case of this type. Your Joliet DUI lawyer will review every aspect of your case, and, if necessary, will work with the prosecutor to try to have the charges changed or even eliminated. Sometimes a plea deal may be a possibility. This allows you to plead guilty to a lesser charge in order to receive a reduced sentence. Excellent litigation and negotiation talents are needed to achieve a successful result. Do not trust your defense to just anyone. Count on the veteran legal team at Johnson & Johnson, Ltd. to get you the best possible outcome. Contact us today to schedule a consultation with a Joliet DUI lawyer.